Everything you need to know about the Conch Republic. Keep up on local events, nightlife and activities while in Key West. There’s something about a tray of oysters on ice that perfectly compliments the atmosphere of Key West. These salty medallions from the Panhandle and opposing coasts can be eaten by the dozen, served on the half-shell with nothing but horseradish and lemon juice. Not the raw oyster-eating type? Try them steamed, smoked, fried, or baked, in stews, bloody marys, or in a roll. The texture is an acquired “taste” for many, but the very best oysters taste fresh and pure like the ocean. 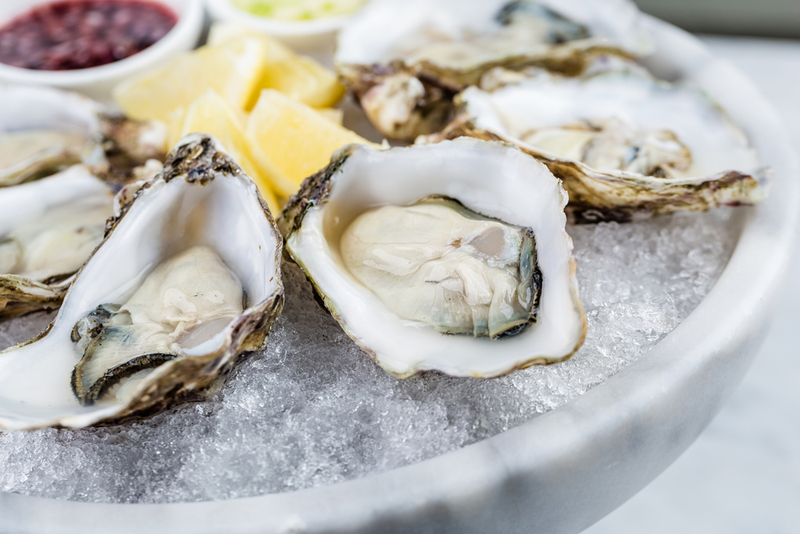 Oysters are also healthy – they’re high in zinc, vitamin C and B-12, protein, iron and selenium. If these power mollusks aren’t commonplace on restaurant menus back home, we suggest you explore the options at these Key West restaurants. Here’s a look. Chef Henry Christian takes the little oyster bar at Smokin’ Tuna with absolute seriousness, treating guests to unique pairings and oysters from the northern waters of the east and west. Guests can take a seat at the oyster bar five days a week for a lively culinary experience from a dedicated chef. 4 Charles St.
Expect only the freshest from Alonzo’s. For oysters from Prince Edward Island to Louisiana, this seafood restaurant is celebrated for their happy hour deals and supremely fresh offerings. 700 Front St. The Thirsty Mermaid is a great indoor place for a few drinks and small plates ordered off their raw bar menu. They’re known to sell Apalachicola oysters, which are Florida’s very best. Make sure to take a look at the wine menu, which offers an excellent selection. Craft beer on tap is also available. 521 Fleming St.
With dockside views and an open-air setting, a dozen raw with a cold beer hits the spot at Schooner’s during a slow-moving afternoon. If you’re not yet at the point of ordering raw oysters in bulk, Schooner’s offers a combo with one-third of a pound of shrimp and four raw oysters. Enjoy live music and all the activity of the Key West Bight. 202 William St. The Half Shell Raw Bar has its own seafood market, so you know what they’re serving is fresh. Grab a seat at an outdoor picnic table and order Gulf oysters steamed or raw in this former shrimp-packing facility, also located on the Key West Bight. 231 Margaret St.
See hotel rates at The Gates Hotel Key West, which offers hourly shuttle service to Old Town, a beautiful pool, and onsite food and drink services.